You are currently browsing the archives for the day Sunday, December 30th, 2018. 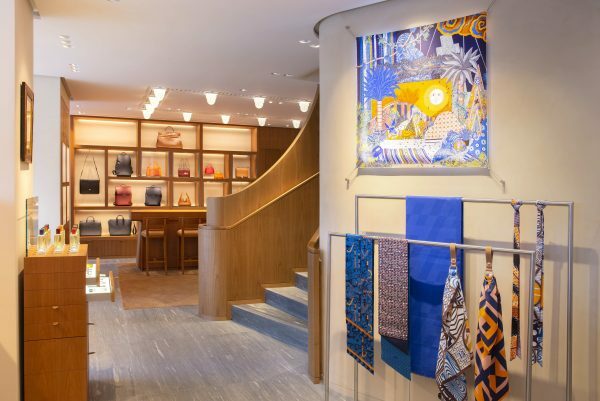 Last Friday, HERMÈS celebrated the reopening of its store in Gstaad with a cocktail inside the retail space followed by an after party at the Tennisclub. 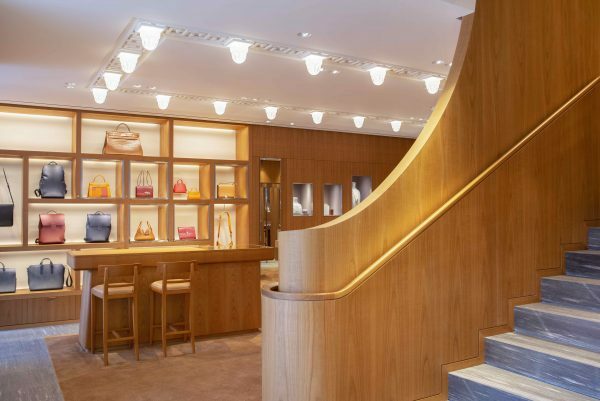 After 6 months of renovation and expansion, the shop, that was first opened in 1974 in the internationally renowned Swiss Alpine ski resort, offers a brighter and larger retail space of 165 m² with a new entrance and a second floor. Designed by RDAI, a Parisian interior design firm, the team was particularly concerned with preserving the uniqueness of the typical mountain architecture and selecting exceptional materials that emphasize the natural character of its surroundings. A newly positioned entrance and four large windows along the facade create a sunlight filled interior and offer a beautiful view of the pedestrian area of ​​Gstaad. On the ground floor you will find the silk collections for women and accessories, while the ties and perfumes for men are arranged on both sides of the main entrance. 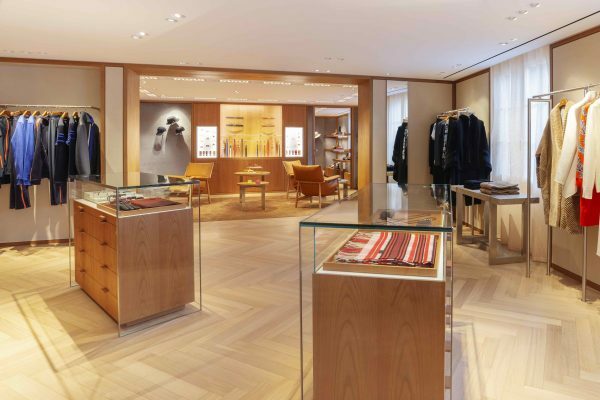 Moreover there is a spacious area dedicated to leather goods, watches and equestrian collections. 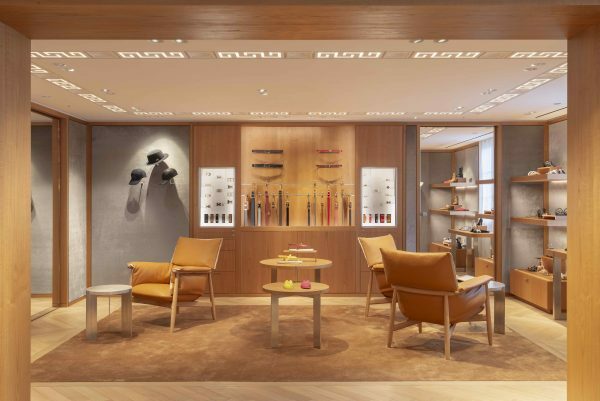 The second floor, which plays with the design codes of the traditional chalet interior, is dedicated to the ready-to-wear and shoe collections for men and women as well as the collections for the home. 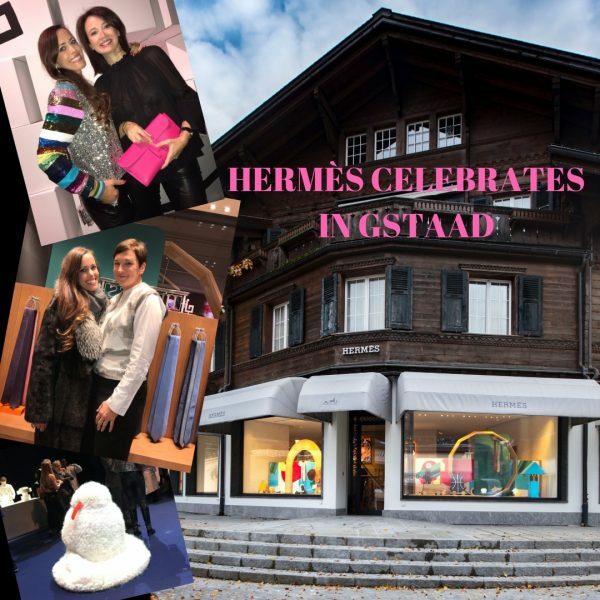 Gstaad – come up and slow down – and shop at HERMÈS.